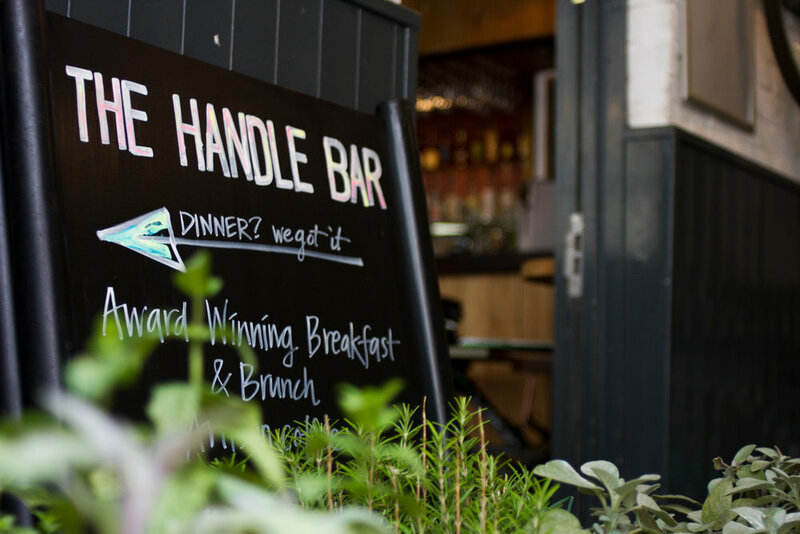 The Handle Bar Cafe and Kitchen was established in 2015 and has since become a staple in the Oxford restaurant scene (especially when it comes to their brunches). You might recognise the name if you’ve seen my video with manager Celine that documents her marathon run this year. Their website was set up in-house when the business was launched which meant a lot of the information was factually incorrect or out of date. The very nature of the business requires a website that can be updated easily and regularly as business information and menu items change. It garners an incredibly huge amount of traffic — primarily from people who want to see the menu and to find out whether it caters to their dietary requirements. This is an area in which the Handle Bar stands out above many other Oxford restaurants, as they pride themselves on providing vegan, vegetarian and gluten-free options in all of their menus. The previous menus had to be uploaded as PDFs, which meant they were not SEO compatible, difficult to read on mobile devices and time-consuming to edit. Luckily, Squarespace has built an easy to use and beautifully presented menu block that tackles all of these issues. Another priority was photos. Most of the previous photos were stock images sourced online, which meant they didn’t reflect the food that was being served. Additionally, the decor of the Handle Bar is a huge selling point. Celine has an impeccable knack for interior design and a trip to the Handle Bar can feel as though you have been transported to a chic Cuban bar. Its name derives from the fact that it’s located just above a bike shop, so the interior is decorated with vintage bikes. I set out to capture photos that would work well with a responsive website, that captured the feel of sitting in the Handle Bar. We condensed the site navigation so that it was simple and intuitive to find what you were looking for. Also important was highlighting some of the other areas that Handle Bar is known for. I rewrote the copy, but also established that Handle Blog, a weekly blog that will not only highlight recipes, but also look at how the Handle Bar is trying to be sustainable, a cause that Celine is very dedicated to. From here the opportunities are endless. Interviewing suppliers, showcasing the at methods the cafe are taking to reduce waste and eliminating palm oil from the kitchen.They are also very dedicated to the Oxford music scene, so bands that perform will also be interviewed for the blog. As an additional service, I’m also running the social media accounts for the Handle Bar, which includes producing copy for the blog. As I already gathered many photos when producing the website, this was an easy transition to make. Our monthly contract includes two hours of photography a month, whether that be at a gig, in the kitchen or at an event. This month, I spent an hour in the kitchen, taking photos of the new menu items that hadn’t been photographed and later in the month, when interviewing a supplier for the blog, took photos of the new cocktails in Le Bar. From that, I now have a bank of hundreds of photos to schedule posts with, so we never have to skip a day of social media and it’s all very relevant. As the months progress, we’ll be able to refine this library, figure out what type of media works best, and use the photos for promotional materials and in the blog.